The National Science Foundation is initiating a national search for the Assistant Director for Biological Sciences (BIO) and they are seeking your assistance in the identification of visionary candidates to lead the Directorate during the coming years. The Assistant Director, BIO, manages a budget of approximately $750.0M and a portfolio comprising the various fields of biology, including the Division of Molecular and Cellular Biosciences (MCB), the Division of Biological Infrastructure (DBI), the Division of Integrative Organismal Systems (IOS), the Division of Environmental Biology (DEB), and the Emerging Frontiers Office (EF). 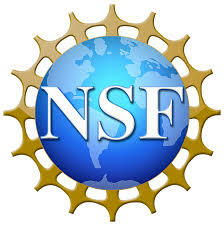 For more information about the NSF announcement, the Directorate’s activities and the responsibilities of the position, together with the criteria that will be used in the search, please see the NSF Dear Colleague Letter. Please send your recommendations, including any supporting information which you might be able to provide, to the AD/BIO Screening Committee via e-mail (biosrch@nsf.gov) or at the following address: National Science Foundation, Office of the Director, 2415 Eisenhower Avenue, Alexandria, VA, 22314. We would appreciate receiving your recommendations by November 10, 2017.